After months of teasing Disney have finally released the first trailer for their latest animated epic, Moana. Directed by Disney veterans Ron Clements and John Musker (The Little Mermaid, Aladdin and Hercules) the film follows the titular Moana (Auli’i Cravalho), a girl who sets out to find a magical and mythical Oceanic island. 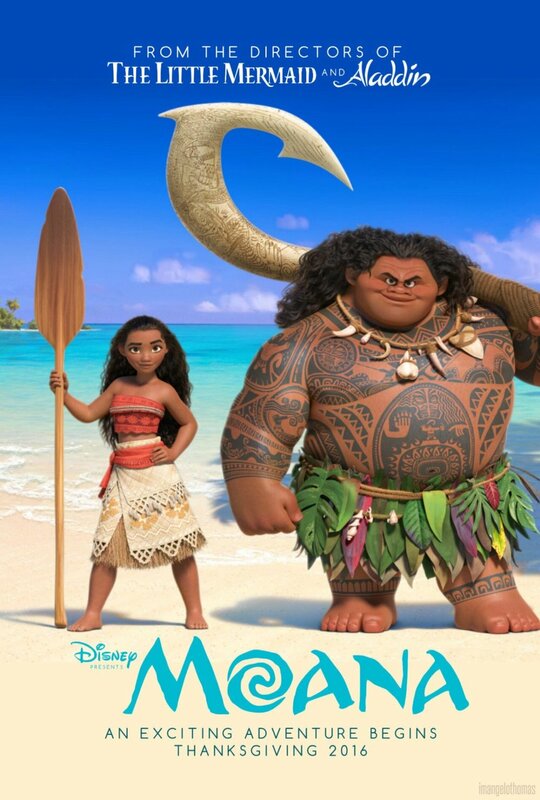 To help her find the island she tracks down her hero, the legendary demi-god Maui, played by the ultra-lovable Dwayne ‘The Rock’ Johnson, and the pair sail the ocean on an exciting adventure. Coming along for the ride is Moana’s pet rooster Hei Hei who, judging by this trailer, could eclipse even Olaf in terms of popularity and rather randomly The Ocean who Moana’s friends with. It seems like Moana and Maui’s adventure will be anything but simple though with them running into, the admittedly cute, Kakamora and the lava goddess Pele. Moana sails into UK cinemas on December 2 so get your grass skirts ready!